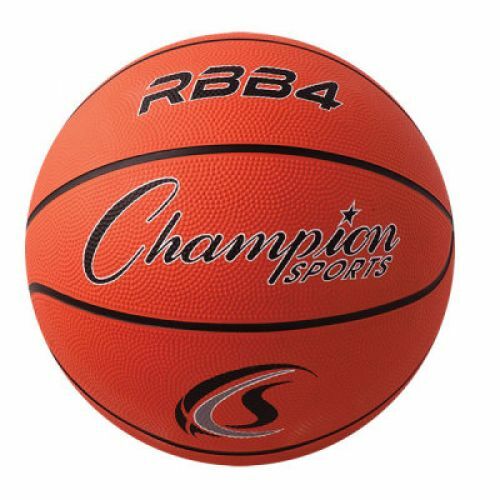 The Champion Sports Intermediate Rubber Basketball is a good choice for junior players. Built with a composition rubber cover, this intermediate basketball has a heavy duty construction that will stand up to regular use on indoor or outdoor courts. The nylon 2-ply butyl bladder offers exceptional air retention, so you can spend more time playing and less time inflating the ball. Basketball, Mini Size, 7" diam.